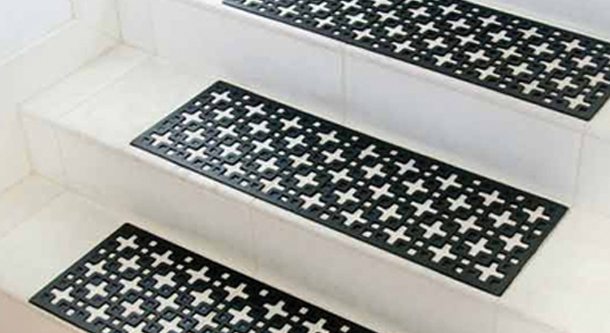 Step Mats are designed to fit the shape of standard steps. 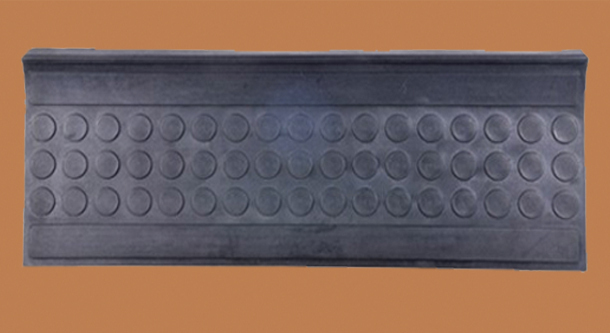 They are provided with adhesive strips at the bottom which make them slip resistant and secure them firmly to the surface of the steps. 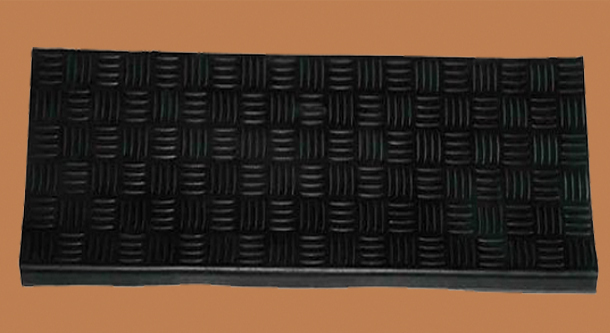 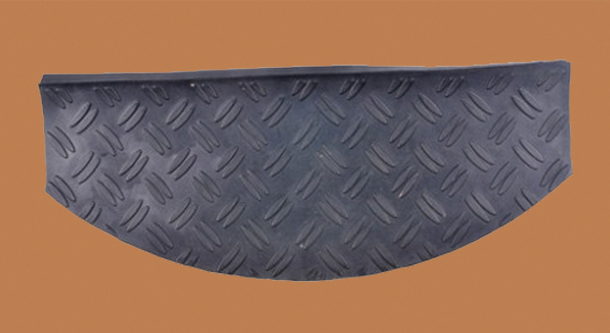 They prevent slipping in wet conditions and also scratching and pitting of expensive flooring.